Contrary to popular belief, dentures aren’t just for Arizona senior citizens. You may be surprised to hear that approximately 70% of Arizona adults between the ages of 35 and 45 have lost at least one permanent tooth, and 25% of adults over age 75 have lost all of their permanent teeth. Patients regardless of age are in danger of losing teeth due to gum disease and tooth decay. There are probably more people in your age group wearing dentures in Phoenix than you realize. If you practice good oral hygiene, including regular dental exams, you may be lucky enough to keep your natural teeth all of your life. On the other hand, if you have week tooth enamel, crowded teeth, or have been unable to see your dentist as often as you should, in spite of your best efforts you may end up needing dentures at some point. It isn’t always apparent when you need dentures, but listening to your dentist’ s advice and being aware of the following signs can give you an indication. These are the first signs that you may be developing gum disease, also known as gingivitis, or periodontal disease. Gum disease is the most common cause of tooth loss, accounting for about 75% of lost teeth. In addition, it will affect approximately 75% of us at some point in our lives. Luckily, gum disease can frequently be arrested in its early stages. Often the answer can be as simple as having a dental exam and professional cleaning performed regularly. In more serious cases, more invasive treatment, such as root planing may be necessary. If you are experiencing swollen, red, or bleeding gums, run, don’t walk to a dental office in North Phoenix for a thorough dental exam. One of the first signs that gum irritation has progressed to gum disease may be teeth that begin shifting position, or you may notice gaps between teeth that weren’t there before. This can be due to bone loss, also known as the hidden problem, since it can go unnoticed for a long period of time. If teeth become loose, it can be a sign of advanced gum disease. If you notice any of these symptoms, see your North Phoenix dentist immediately for a dental exam. In some cases, extensive treatment may still be able to save these teeth, but often they will have to be extracted. Toothaches in Phoenix are frequently a sign of tooth decay, which can often be addressed with a simple restoration. If you are not in the habit of visiting a dental office for regular dental exams, and are experiencing PHX toothaches more frequently, this can be a sign that decay has progressed into the pulp deep inside the tooth root. In this case it may be questionable whether or not the tooth can be saved. If the tooth is salvageable, it may require root canal treatment and a dental crown. If you experience pain when chewing, it can be caused by cavities, a cracked filling, a crack in the tooth itself, or gum disease. Whether the tooth can be saved depends on the cause of the pain. A cavity can usually be repaired, while more extensive tooth decay or a fracture may require a dental crown and possibly root canal therapy. Unfortunately, if not caught soon enough there may not be enough of the tooth left to save. Difficulty chewing can also contribute to indigestion and stomach pain. Chewing is the first step in digestion, so if painful teeth prevent proper chewing, digestive issues can result. If you want to keep your teeth healthy, visiting your PHX dental office twice yearly is crucial. Having your teeth professionally cleaned helps prevent gum disease and tooth decay. Giving your dentist the opportunity to catch problems early gives you the greatest chance of keeping your teeth healthy for a lifetime. Allowing dental problems to advance can result in the need to have teeth extracted. 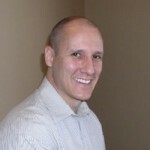 On the other hand, although Phoenix, AZ dentures are a last resort, they can provide numerous benefits. Along with an improved ability to chew and digest your food, they can also prevent any remaining teeth from shifting around your mouth and causing additional pain. Many patients are also surprised by the improvement in their speech. Of course, everyone is concerned with their appearance, and today’s modern dentures have a natural look, and restore the natural fullness to your facial features. 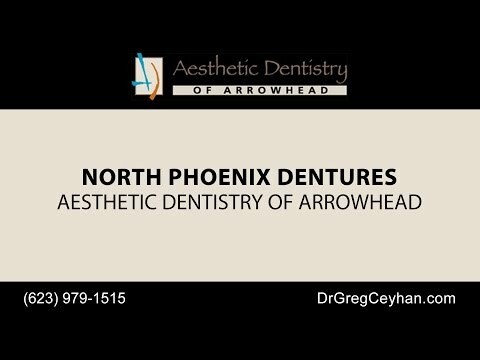 At Aesthetic Dentistry of Arrowhead our goal is to help you take the best care possible of your natural teeth. Should you come to a point in your life where dentures are necessary, the good news is that modern PHX dentures can look completely natural and fit comfortably. Tooth loss can occur at any age, but carefully crafted dentures can restore your smile beautifully. Don’t be Shy to Smile with Your New Phoenix Dentures!